I am a lifelong athlete and I'm always evolving you could say, from professional dancer to dance teacher, to distance runner and now even coaching. Currently, I run all distances (train and race), strength train, swim and cycle some, and have taught in gyms off and on for years. I love exercise science in general. What I love about running...is that it teaches me everything. To tune in, and to tune out, to get back up when I'm down, to run because I'm free, to get away from worries, but also address some worries. 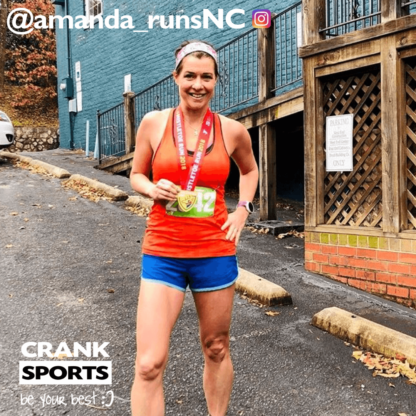 I learn that I can do more from running, I learn that I don't know everything (every day , haha), and I learn that I can change things and live with uncertainty. My past fueling issues have not been relegated to running only - I have always struggled with energy before, during, and after workouts. I have always had a higher metabolism, and as a dancer the nerves interfere with eating at a constant level. As I moved from dancer to gym rat, aerobics, cycling, and now running, I have literally tried everything to no avail, in particular during the workouts themselves. Even eating before workouts can be an issue for me, which is another reason I enjoy morning fasted runs. I discovered over time with running (especially the last 5 years) that all other "fueling" products including most drinks either upset my stomach (having to go to bathroom not just crampy), or if I did tolerate it, I would feel a crash from the product within 30 minutes. I use e-Gel on runs, in races, in cycling, brick workouts and in my brief triathlon racing so far. 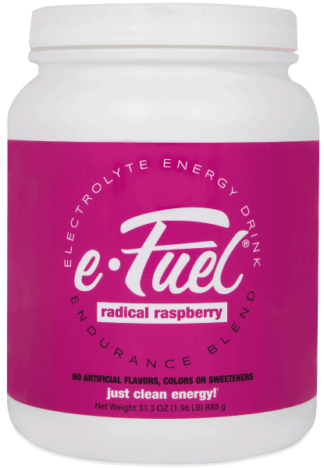 I use the e-Fuel during cycling only. e-Gel works amazingly well - I love the product because of the balance of easy to absorb sugars without crashes, the response in my body is without comparison, I do need to use it again if I start using them in a race but I don't crash. I have even started a run fasted and then used the e-Gel without issue. That may sound like any other runner who likes a product, but I am THAT runner, THAT athlete who tried EVERY product and drink on the market and they did not work - blood sugar crashes, major GI probs, minor GI probs, or simply gave me cramps.